Mandarin Oriental, Munich’s pastry chefs have specially created a range of dainty culinary treats, such as Chocolate Raspberry Macaroons, Jimmy Choo Handbags filled with chocolate, Cucumber and cream Cheese and Grapefruit Lemon and Caviar Shooters which are sure to win the hearts of every fashionista. The fashion Afternoon Tea is served with JING Tea and guests can select from Assam, Organic Green Tea, Lemongrass & Ginger just to name a few. 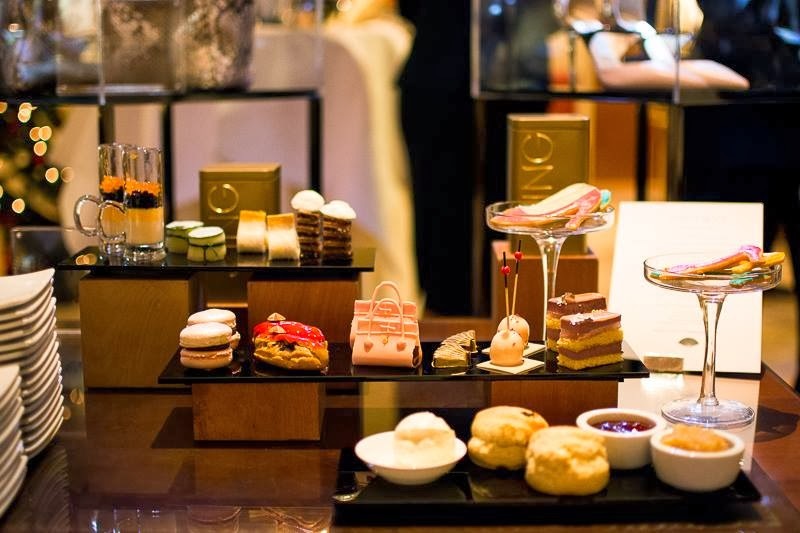 Whether as a gift for a best friend or as a treat after a shopping tour, this special Afternoon Tea at the Mandarin Bar is a must for those with a passion for fashion who want to enjoy the sweet temptations of life. 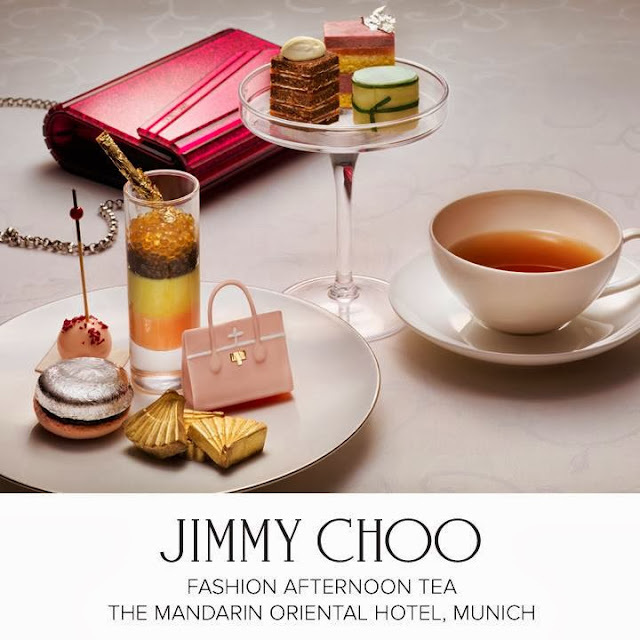 The delightful Jimmy Choo Fashion Afternoon Tea is priced at EUR 39 per person and EUR 55 per person with a glass of Champagne. All guests who book the tea will a special complimentary gift set from Jimmy Choo: Jimmy Choo FLASH fragrant surprise. The Jimmy Choo Afternoon Tea will be served at the Mandarin Bar from Mondays to Fridays from 3.00pm to 6.00pm. Reservations can be made through: +49 (0)89 290 98 1929. Me too, who cares if it's just for tea?! I missed this one in HKG. I might have to go to Munich now! Ohhh, what a fab looking afternoon tea!